Should You Create a Sliding Fee Schedule for Your Practice? Without exception, every medical practice faces issues related to patient payments. The challenges vary – ranging from patient financial hardship to lack of insurance to high deductibles, coverage gaps, and so many more. One approach seeing increased interest among providers is the idea of a sliding fee schedule, which allows you to provide discounted services based on a family’s income in comparison to the Federal Poverty Guidelines. By creating such a schedule, you can offer a financial break to both low income and self-pay patients – allowing you to minimize issues related to non-paying patients. Before using the sliding-fee model, however, you need to consider how it will affect your practice financially and how to stay compliant with applicable regulatory guidelines. Here’s a (non-exhaustive) primer on the factors to keep in mind. Every medical practice has to walk a fine line between serving patients (even cash-strapped ones) and earning a sustainable income. Just as charging too much can turn patients away, offering your services at a discount can jeopardize your financial stability. Perform extensive financial analysis to know how much profitability you can afford to risk. 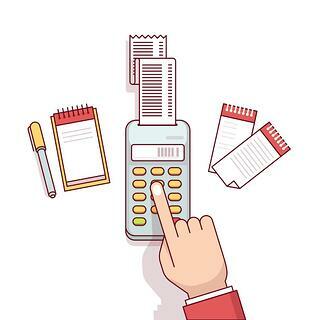 To create a fee schedule, you’ll need to determine a minimum price you can charge for your services and still pay all expenses associated with your practice, including salaries. Break things down to your per-month financial needs and associated per-patient minimums, then figure out if charging less would demand a higher patient load than your practice can support. Taking billing off your administrative team’s plate frees your most experienced and talented people up to work more closely with patients. And as the U.S. healthcare system evolves, that’s a smart strategy for sustaining financial health: Deploying team members into care coordination and “patient ally” roles can help you comply with value-based government programs. How Will Your Patients Perceive It? Addressing patients experiencing hardship is a noble idea, but it can also get you into hot water. Some consider sliding fee schedules to be discriminatory toward people with larger incomes, since it charges them more for the exact same services being provided to clients with lesser incomes. Even with the best intentions, the idea of having a minimum-to-maximum price schedule can come across as gouging as if you’re looking to squeeze more money from patients you can charge and accepting less from others. Consider how your higher-income patients may feel about that as you make your practice’s decision. Can You Stand By Your Choice? Sliding fee-schedule programs succeed when practices embrace them with integrity. Taking the sliding-free approach make the idea of paying less (due to poverty or other troubles) something patients don’t have to be ashamed of, but can instead feel honest and ok about. But since higher-income patients may not like it, your practice should have a strategy in place to defend your sliding-fee schedule even before you even deploy it. Avoid the appearance that your scale is arbitrary by creating explanatory resources that detail your pricing methodology and make it clear to questioning patients why you took the approach. Without exception, transparency and straightforwardness can help patients understand your financial decisions.